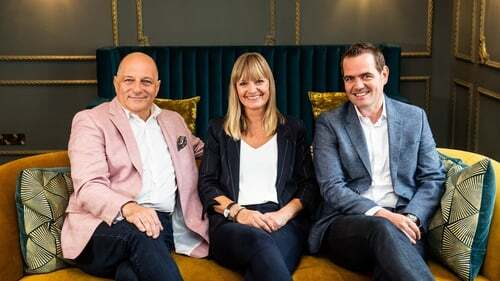 Home of the Year sees judges Hugh Wallace, Deirdre Whelan, and Peter Crowley search high and low across the country for contemporary cottages and complex new builds filled with individuality, passion, and clever design. Over eight weeks, a total of twenty-one homes will compete for the prestigious title of 'Home of the Year' in 2019. Click through our gallery above for a sneak peek of the three entries. Liz Balbirnie and her husband Ian Switzer live in a contemporary upside-down house in Dublin. The two had been living in an old house when they decided to make a change. When the offer of a site on a hillside that took in views of Dublin bay came up Liz, an interior designer was excited by the prospect of designing her dream home. Liz made a model of the home when she was designing it and is proud that no alterations were made to the design. This sped up the building process significantly. The combination of the glass and open tread staircase ensures a good flow through the upper and lower spaces. The house is cost effective to run and is a great example of contemporary design both inside and out. Emily Woodcock and her husband Dave live in a renovated cottage with a modern extension with their three children in Louth. Their home is a mixture of both old and new with a clear division of a hallway to separate the old cottage and new extension. The layout of the home is back to front with the bedroom at the front and the living area to the rear. The house has stunning views of the sea to the back and mountains to the front. Emily is pursuing a career in interiors and her love of design is evident throughout the home. Each room is different with a variety of different styles and colours. Hugh is a fan, Deirdre is not. Darran Heaney lives in this renovated Victorian terraced home with his partner Eoin Callaghan in Dublin. The couple had a tight budget but, with the help of their family and using their own resources, they restored the original home and built a small extension at the back for the kitchen and dining area. They also added an attic conversion transforming the home into a split-level house. By replacing the original Victorian features and adding their own contemporary style they have created a home that represents their personality.